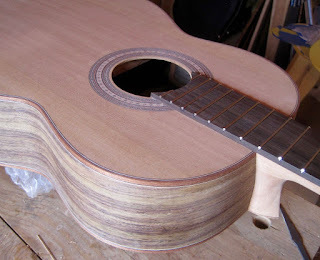 If you wish to order a custom made guitar from me please know I require a $800 deposit to place you on a waiting list. When construction begins, the remaining balance is split into three payments, the first being due when the guitar is started, the second is due halfway through construction and the final payment, plus shipping costs (if any), is due upon completion of the instrument. All guitars sold in Colorado are subject to a 4.985% sales taxes.